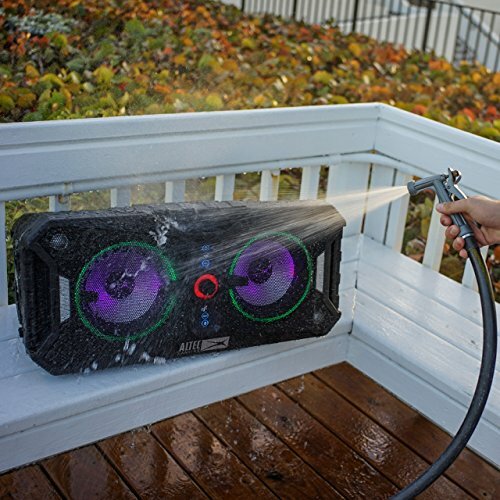 EVERYTHING PROOF: A super durable design keeps the speaker water-proof and dirt proof. Perfect to use in all types of environments. 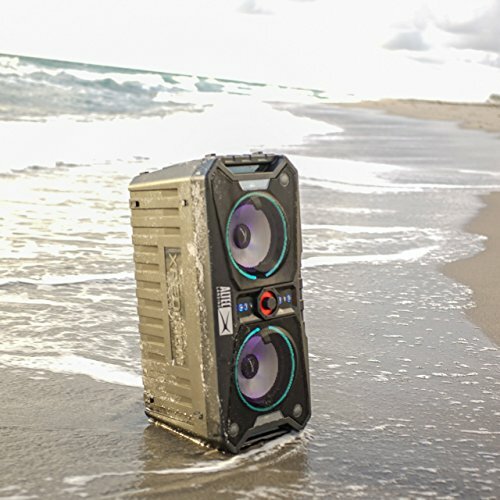 The largest, loudest, portable Bluetooth speaker – The Xpedition. 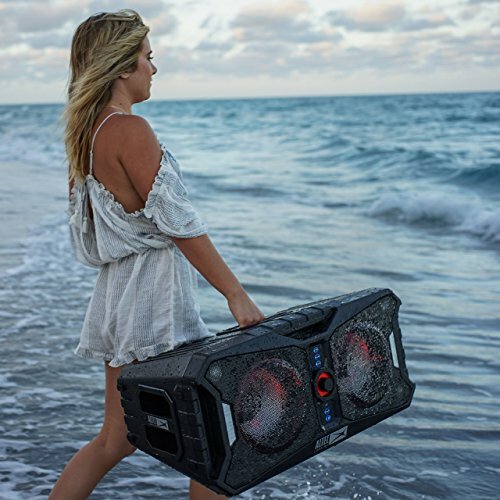 Features Dual 8″ Woofers and three 1″ Tweeters that are powered by 420W of peak power. Customize your sound how you want to hear it – The Xpedition has been designed to disperse sound whether standing upright or laying on its side due to its intelligent stereo orientation. Further, add sound by linking a second Xpedition to create a stereo pair. 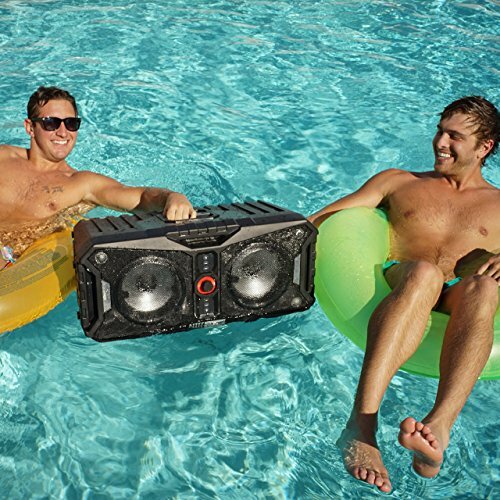 The IP67 rated speaker is dust proof and waterproof. 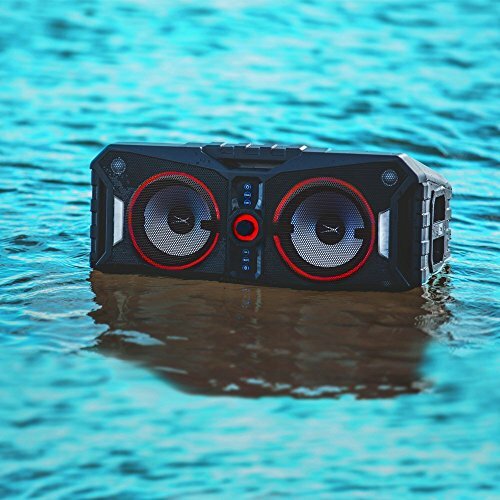 The speaker can withstand one meter of water for up to 30 minutes! 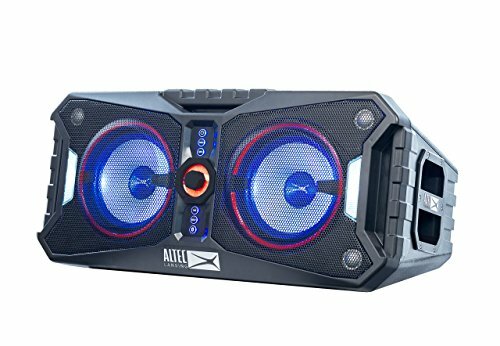 Its LED lightshow features 12 color combinations from the woofers plus two strobe lights will dance along with your favorite songs. 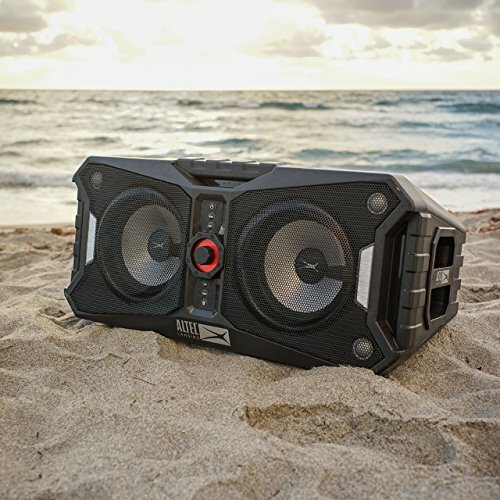 The Xpedition gives users total control with Bluetooth and NFC connection capabilities and has AUX inputs to directly plug in other devices. SOUND: The largest and loudest of its category. To pump out even more sound, put it in BEAST mode. Double the sound by linking a second XPEDITION to create a stereo pair. BLUETOOTH: Built-in Bluetooth for easy music streaming from any of your favorite mobile devices. LIGHT IT UP: 12 multi-colored LED light show, plus strobe lights, dances to the music.